The American Bar Association has given President Obama’s pick its highest rating. Why the delay? Senate majority leader Mitch McConnell claims that the Republican senators who have refused to act on the nomination are standing on principle. “The principle is the American people are choosing their next president and their next president should pick this Supreme Court nominee,” says the top Republican. 100 years ago senators approved two High Court nominations in a presidential election year. They can approve one in 2016. But there is no such principle. 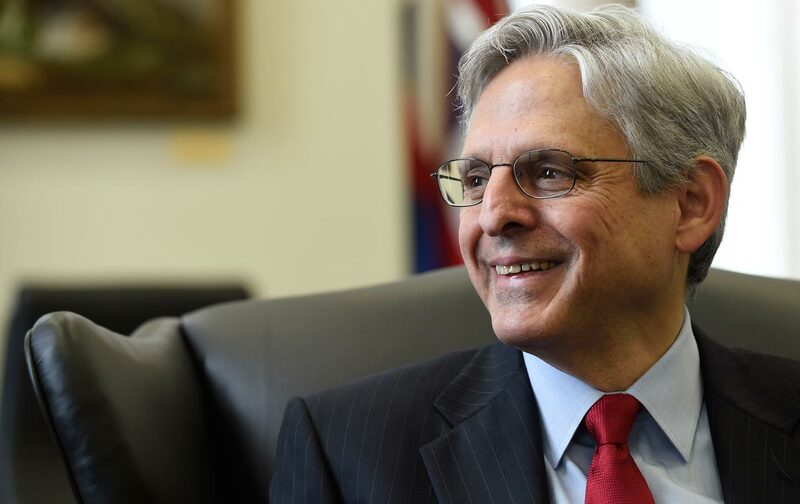 Indeed, there is ample historical precedent that argues the Senate can and should approve the Garland nomination now—rather than waiting for the end of a seemingly endless presidential election cycle. One hundred years ago this month, in the midst of an intense presidential election campaign that would yield one of the closest results in American history, the United States Senate confirmed a president’s outspoken yet qualified nominee for the United States Supreme Court. The entire process of hearings, debates, and votes was concluded in four months—on a timeline that, were it to be recreated in this election year, would see President Obama’s nominee to fill the Scalia vacancy confirmed by mid-July. And that was not an isolated example. Democratic and Republican presidents have frequently made Supreme Court nominations in presidential election years, and senators have frequently upheld their constitutional duty to provide advice and consent in those election years. Precedent is on the side of action on the nomination of Obama’s pick. When Mitch McConnell argues otherwise, he is spinning a partisan fantasy. In the real world, the Senate acts, even when it is not easy. And it was not easy 100 years ago. Instead of holding a position of independence, between the wealthy and the people, prepared to curb the excesses of either, able lawyers have, to a large extent, allowed themselves to become adjuncts of great corporations and have neglected the obligation to use their powers for the protection of the people. We hear much of the “corporation lawyer,” and far too little of the “people’s lawyer.” The great opportunity of the American Bar is and will be to stand again as it did in the past, ready to protect also the interests of the people. Though Democrats held a Senate majority in 1916, there were conservative Democrats who joined with conservative Republicans to oppose the Brandeis nomination. Yet the Senate Judiciary Committee held hearings, the nomination was debated, and on June 1, 1916, Brandeis was confirmed by a vote of 47 to 22. Most Democrats supported Wilson’s nominee, as did three progressive Republicans (Wisconsin’s Robert M. La Follette, Nebraska’s George Norris, and Washington’s Miles Poindexter). On June 5, 1916, four months and a few days after he was nominated, Louis Brandeis was formally sworn in as a justice on the Supreme Court—beginning a remarkable 23-year tenure that would dramatically extend and deepen our understanding of basic freedoms (especially the right to dissent) and the role of the Court in defending them. Brandeis was confirmed just one week before the opening of the 1916 Republican National Convention. But senators of both parties recognized that the political calendar could not be employed as an excuse for avoiding their duty to consider Supreme Court nominations in a timely and responsible manner. In fact, the political calendar and pressures associated created an additional responsibility. Justice Brandeis was not the only new member of the Supreme Court to be nominated and confirmed in the presidential election year of 1916. At that GOP convention in Chicago, the party nominated Justice Charles Evans Hughes as the party’s candidate for president. Hughes resigned from the High Court on June 10, 1916. A month later, after Wilson was nominated by the Democrats to lead their ticket, the president nominated a prominent progressive, Federal Judge John Hessin Clarke, to replace Hughes. Ten days later, Senate Republicans joined Senate Democrats to unanimously confirm Clarke. Two Supreme Court justices were nominated, considered, and confirmed in a presidential election year—one of them replacing the nominee of the Republican Party for president. The senators provided their advice and consent, dissenting where they felt necessary and approving where they desired. It was a serious process, with significant ramifications, yet it worked because senators of both parties chose to perform their duties as the founders intended.